"I wish I had found this dentist office so long ago! Dr. Swapna Raveendranath is awesome." "Nobody is better than Dr. Swapna. She treats you like she knew you all her life." "Dr. Swapna is awesome! She is caring, humble and extremely professional." "Great practice, great location and very easy access!" "Dr. Swapna is friendly and took great care of my teeth!" "What a wonderful group of professionals here at Shine Dental." "Dr. Swapna and her staff made going to the dentist relaxing and care free!" "Everyone from the doctors to the front desk ladies are incredibly professional." 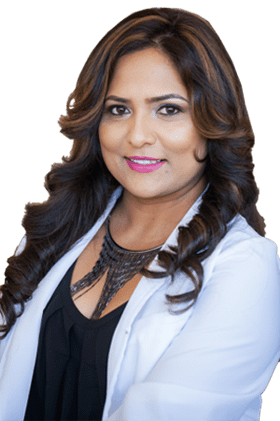 Swapna Raveendranath, DDS, an award-winning celebrity dentist, leads the team at Shine Dental in Fremont, California. Shine Dental provides a modern approach to exceptional dental care and believes your oral health is of the utmost importance. Shine Dental has over 10 years of experience treating patients dental health needs including general, cosmetic, and restorative services. The Shine Dental team helps patients reach their personal oral health goals with customized treatment plans. Shine Dental offers an individualized and gentle approach in caring for your mouth, teeth, and smile. Dr. Raveendranath and her understanding team focus on their patients’ well-being and comfort at all times and use the most up-to-date techniques in dentistry for the best results. The team at Shine Dental knows that visiting a dentist can be stressful. They do everything possible to keep you comfortable and relaxed, and never rush through an appointment; the team at Shine Dental take their time in educating and informing you about all procedures for improving or maintaining your dental health. In addition to regular preventive care and cleanings, Shine Dental offers teeth whitening, dental crowns and bridges, cosmetic bonding, and Invisalign. They also provide pediatric dentistry and orthodontic services. If you have an emergency, Shine Dental ensures you are seen as soon as possible. If you are interested in a compassionate and kind dental team, call Shine Dental to schedule an appointment or book your appointment online today. We accept all PPO insurances as well as Delta Care USA and Medi-Cal/Denti-cal HMOs. Please contact our office directly for any coverage-related questions. Thank you. "Came in on last minute on a Saturday with an emergency and the staff was very helpful and took care of my dental needs!" "I use to hate going to the dentist but after coming to Shine Dental I’m not so afraid anymore. The staff were friendly and Dr. Swapna was great!" "Dr. Swapna is the best. I always leave the office with a big smile, both because my teeth are sparkly clean and because she such a friendly, charismatic doctor." "I've been a patient of Shine Dental for almost one year now and I can honestly say I've never had a better dentist (or dental office experience) in my entire life."